One for the underground heads. 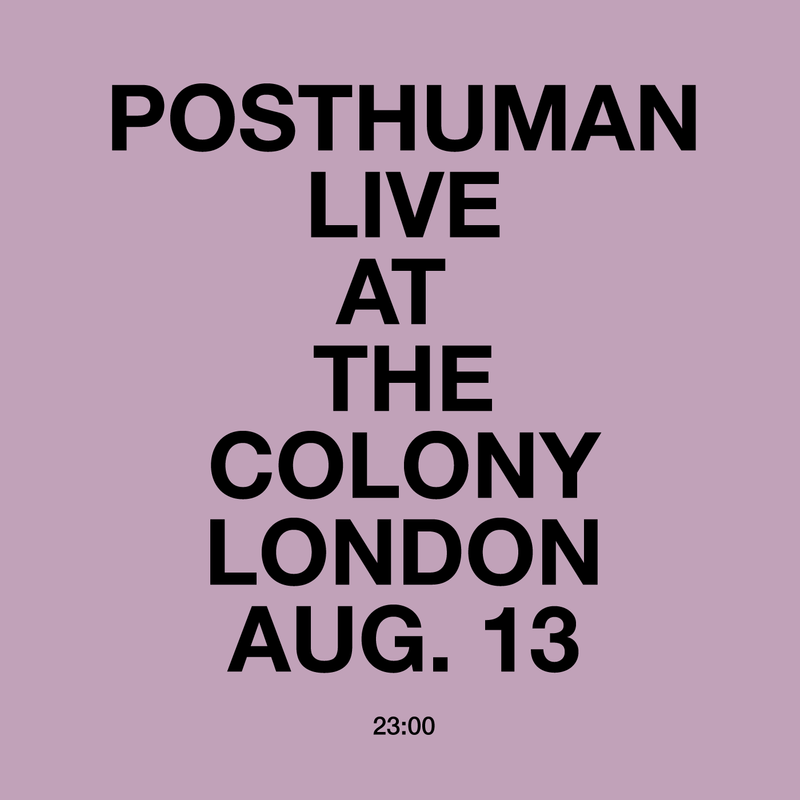 August 4th 2013 saw Posthuman of Tusk Wax (and more) deliver the attached live set at the Colony club. It’s a heavy, techy and sound fresh from the machine. Mind your bass bins as someone once said. This Friday Posthuman hit the stage at their long standing ‘I Love Acid’ which is now at Power Lunches in Dalston, London. Tickets & details are here. It’s only 80 people and pretty raw so if you like getting lost in it with a load of like-minded souls then this your thing. £5 and as they say, “no guestlist, no favours”. I Love Acid has been running monthly since 2007, with parties in London, Malta, Dublin, Edinburgh, Belfast, Antwerp & more, and has featured guests such as Luke Vibert, Ben Sims, A Guy Called Gerald, DJ Food, EgeBamYasi, Mike Paradinas, DJ 3000, DMX Krew, Radioactive Man, Jerome Hill, and Kirk Degiorgio – so expect that squelchy 303 sound in full. On with the program.